Constitutional Carry legislation is picking up steam in the Minnesota Senate! As you know, last week Senator Paul Utke introduced Senate File 649 and it’s time to take action to see Constitutional Carry become a reality here in Minnesota. 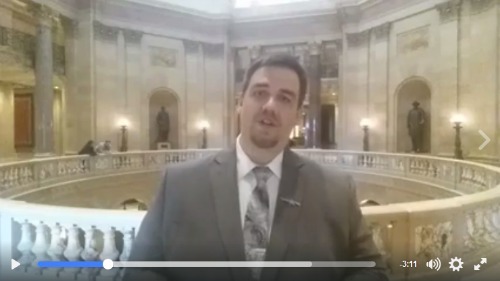 Please watch this update from MGR’s Political Director Ben Dorr and take action by contacting the Senators listed and make sure they’ve signed on as co-sponsors to SF649! All three of these Senator have promised in writing to co-sponsor Constitutional Carry legislation, so give them a call and make sure they’ve signed on to Senate File 649. When you’re done, please call Senator Utke at 651-296-4196 and THANK HIM for taking the lead in the fight to advance our gun rights. Thank you so much for your activism and we’ll keep you up to date!